FASB Non-Compliance: While most of the major US-based manufacturers now include the warranty tables mandated by FASB FIN 45, at least one-in-five have chosen non-compliance. What happens to them? FASB says they can be called non-GAAP companies, but the SEC says little about enforcement plans. The Warranty Reserve: Manufacturers apparently allowed their reserve fund balances to shrink by some $2 billion during the third quarter, not only because of a 4% rise in claims but also because of numerous downwards changes of estimate and cuts in accrual rates. Warranty Claims & Accruals: In some industries, warranty claims and accrual rates move together in parallel. In others, they each seem to have a mind of their own. 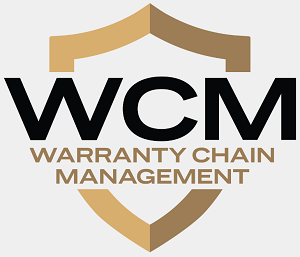 This week we take a look at nine months of warranty claims totals and the percentages of sales they represent in nine different industries. Extended Warranties: The default of Warranty Gold Ltd. on the heels of the collapse of its Cayman Islands-based underwriter puts into question whether online sales of vehicle service contracts are worth the risk, and whether the risks were underpriced. WEEE & RoHS Directives: Electronics & appliance manufacturers must consider environmental impact beyond the point-of-sale. Ford's Warranty Reserves: Standard & Poor's cut Ford Motor Company's credit rating from BBB to BBB-, citing write-offs at Ford Europe, reduced warranty accruals, and lowered reserves for bad loans by Ford Credit. But were those reduced warranty accruals justified by reduced claims costs? Don't TREAD On Me: NHTSA has announced that TREAD Act reports will be presumed to be confidential. If, as some expect, NHTSA won't be able to analyze the flood of data it's about to receive, and it won't release that data to the public, what's the benefit of compliance beyond penalty avoidance? Don't TREAD On Me: Estimates of the cost of TREAD Act compliance vary all the way from the U.S. government's own $89 million figure up to a $1.7 billion estimate recently published by AMR Research. While small manufacturers continue to count their actual costs, the government continues to insist those costs will be close to zero. Letter to the Editor: Reader raises an issue with the data for warranty reserves, claims, and accrual statistics published over the past five weeks, suggesting the use of just printer hardware revenue to compute a claims rate paints a misleading picture. The Warranty Reserve Fund: Given the availability of six months of data detailing changes in the warranty reserves of more than 600 U.S. manufacturers, what trends are becoming visible so far? Warranty in the Air, Sea, and Ground: Compliance with FASB FIN 45 rules concerning product warranty disclosures has spread tremendously in just the first two quarters of 2003, making it possible to find ranges and averages for warranty accrual and claims rates in numerous market segments. In addition to the automotive and IT industry sectors detailed in the past two issues, here are charts for six more market segments. Warranty in the IT Industry: Spending on warranty claims for everything from handheld computers to television transmitters showed a very slight increase during the second quarter, while both claims rates and reserve fund balances were down. Collectively, some 259 IT equipment manufacturers spent almost $2 billion honoring warranty claims during the period. Warranty in the Auto Industry: Spending on warranty claims showed a slight decrease during the second quarter, while claims rates and reserve fund balances were both up and down. Here are the details. The Warranty Week 500 Most of the major players in warranty claims management recently reported details about their warranty reserve funds, claims and accruals during the second quarter. Here are the summary results. GM's Warranty Reserves: Both GM and Ford made sizeable withdrawals from their reserve funds during the second quarter. GM cited increased product quality. But analysts said the move lowered earnings quality. Ford said nothing, and nothing was said. What's behind the changes of estimate? Warranty Software: Is there such as thing as a company conceived and launched to provide nothing but warranty claims processing software? Apparently not, but at least two companies decided a year ago to focus almost exclusively upon warranty. Warranty Software: In the automotive market, sooner or later virtually every software package has to interact with warranty data. And why not? Warranty is a $9 billion activity for vehicle manufacturers, with a direct impact on the bottom line. It's also one of the best available measures of a product's quality and reliability, and it could be as useful to the engineers as it already is to the accountants. 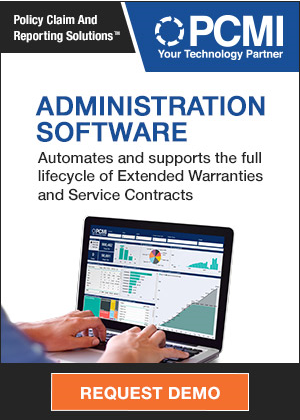 Warranty Software: There's no heading in the software catalog for it, yet all manufacturers of warranted products have to use it. At Hewlett-Packard, two companies that don't even call themselves warranty software vendors are helping the company manage its warranty costs with analytical tools that weren't designed with warranty in mind. Warranty Registrations: Given that nine out of ten consumers don't bother filling out the postcards, what can be done to boost response rates? Two new warranty registration systems from veterans of the messaging industry are spotlighted. The Warranty Reserve Fund: Now that warranty accruals and warranty claims numbers are in the public domain, it's time to look at the differences in warranty reserve fund sizes and the estimates that are used to produce these differences. Warranties in the HVAC/R Industry: As temperatures climb, so does the need for air conditioner and refrigerator repairs. But even in the cold winter months, HVAC/R vendors spent an average of 1.9% of product sales to satisfy warranty claims, according to recently filed financial statements. Home is Where the Warranty Is: Most of the major homebuilders recently reported details about their first quarter warranty spending. Here are the results, organized into segments for site-built homes, motorized recreational vehicles, and prefabricated/manufactured homes. Introducing the Warranty Week 500: Most of the major players in warranty claims management recently reported details about their first quarter spending. Here are the results, organized by industry. Windfall for Warranty Managers: FASB requires U.S. manufacturers to include never-before-seen details on product warranty costs and reserve fund balances. HP Integrates the Compaq Product Line, and Unites its Warranty and Service Upgrade Options. But extended warranty revenue isn't what it could be, and buyers facing too many choices may instead be choosing to do nothing. a shift towards extended warranty options. Fujitsu Delivers Mixed Message: The company with the best plasma display panel warranties also has the most restrictive terms. Don't TREAD On Me: Automakers and consumer advocates argue over public disclosure of early warning report data. Don't TREAD On Me: Part 2: Service providers and software vendors assess the costs and benefits of TREAD Act compliance. Don't TREAD On Me: Part 1: Because of the Firestone tire fiasco, automakers must begin compiling quarterly reports on consumer complaints and warranty claims beginning tomorrow. Clash of the Titaniums How a golf club maker turned a shiny metal into a reason to dump its auditors. British regulators struggle with extended warranty issues. Multiple studies find problems, but voluntary solutions suggested by retailers haven't worked. Meet the SCIC: The Service Contract Industry Council fills the role of lobbyist and extended warranty industry watchdog. Extended Warranties: Something worth buying or something to avoid? Chrysler's Transferable Warranties: Do They Boost Resale Values? Increase New Car Sales? Or Are They Just Confidence Builders? Telematics - Computer Car Crashes Do Automobile Telematics Boost Reliability? Or Will the Clock in the Car Soon Be Blinking Midnight?